Supervised children's program meeting 2 hrs/day, Monday-Friday from June 9th-August 23, 2019. Activities include: model boat building and regatta, ceramics, interpretive nature hikes, fly tying, crafts, games and cook-outs. Work out in our new fitness room. 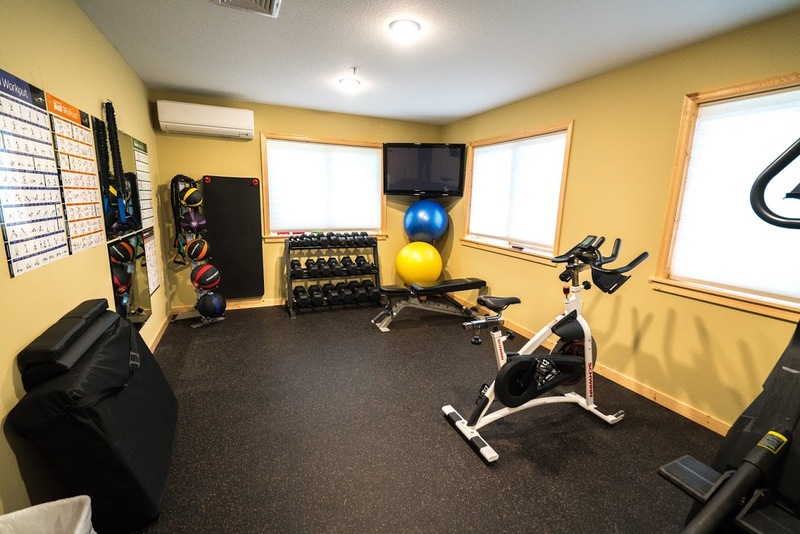 Utilize our hand weights, resistance bands, medicine balls, yoga mats, weight bench, stationary spin bike and our stair master. Paved "Sport Court," featuring basketball, badminton, pickle ball, tennis hitting wall and foursquare. Also available: shuffleboard, horseshoe, croquet, bocce ball, beanbag toss, table tennis, sand volleyball and swing/gym sets. 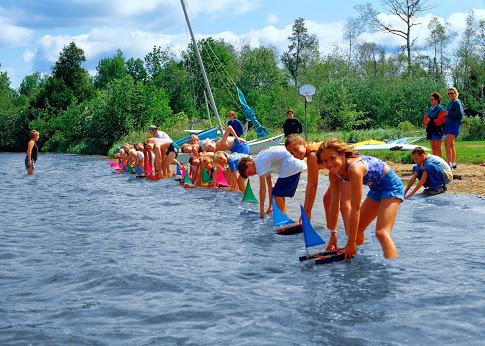 Enjoy kayaking, sailing, water skiing, canoeing, hydro biking, paddle boating and paddle boarding. 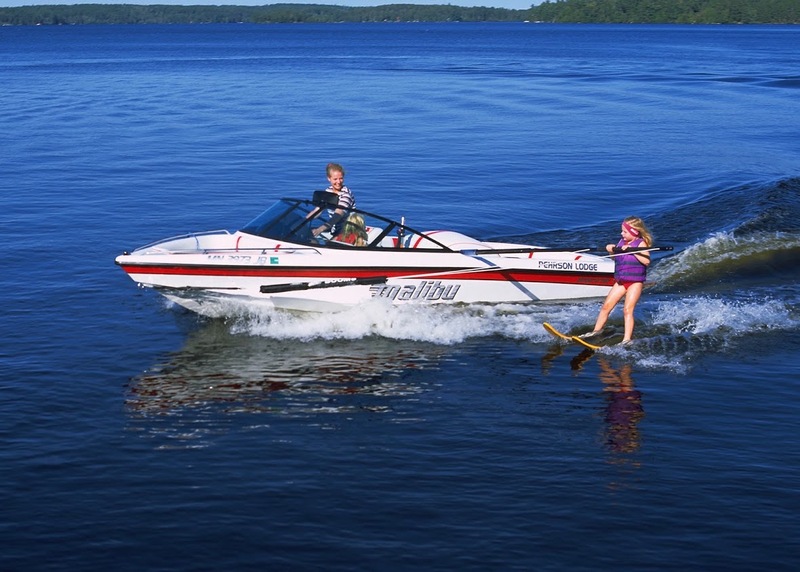 Learn to waterski or improve your skiing skills behind our 340HP Malibu Competition ski boat. Training Boom and the best equipment make all the difference. Weekly "Free Ski Day" offered for summer stays. 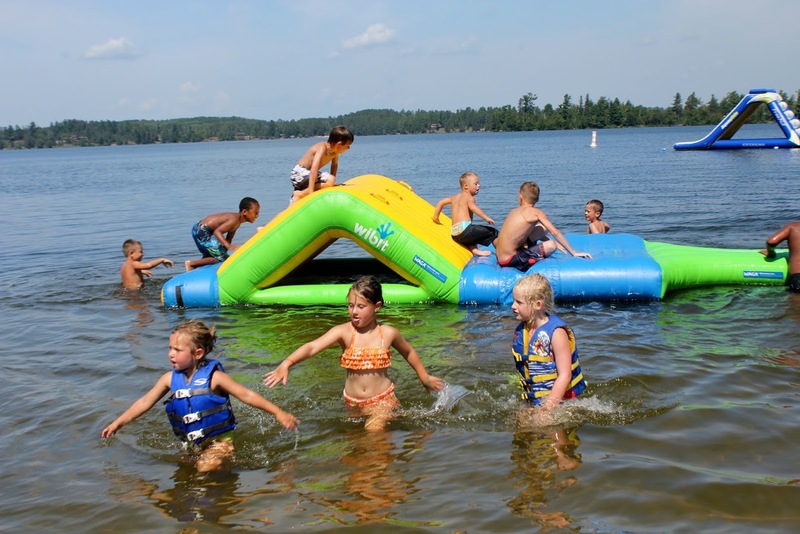 Enjoy one of Lake Vermilion's finest beaches, featuring splashy water slides and play structures! Active fun in the sun for all ages! 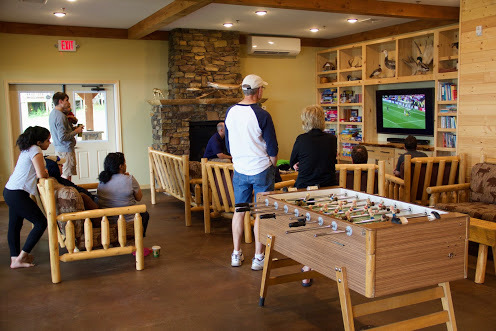 A spacious getaway with pool table, foosball, table tennis and a nice selection of board games. Guests are welcome to enjoy TV with satellite programming and DVD player. Some bring a TV or laptop for in-cabin movie viewing. A wide selection of DVDs is available for loan in the office. Please... No streaming of video via resort internet. Our system does not have that capacity. Our townhouses have satellite TV and DVD player. Convenient resort-wide basic wireless internet in each cabin allows for viewing websites and using email. Our internet system is not intended for video streaming. Find an excellent selection of books and current magazines, as well as a peaceful haven in which to enjoy them. 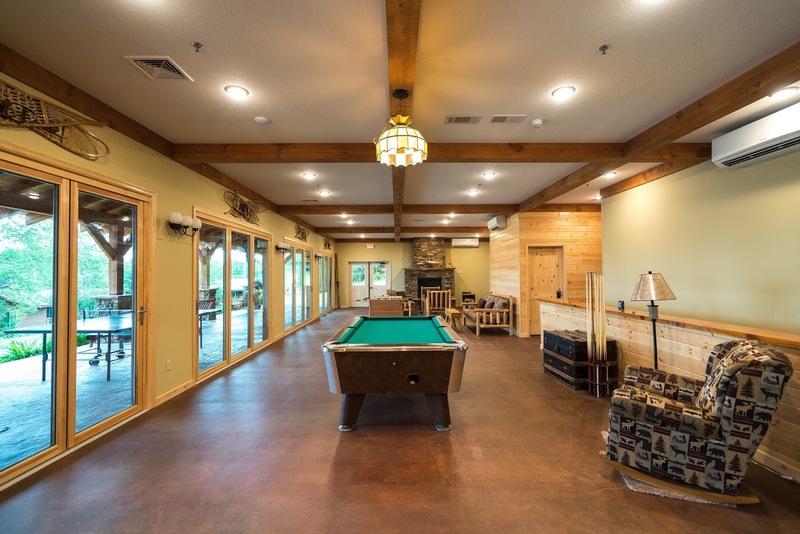 Enjoy the convenience of an onsite laundry facility, located at the walkout level of the new Grand Vermilion Chalet. No need to lug detergent; our per-load rate includes soap! Blacktop path is great for biking, roller blading, pushing strollers and walking. Please do not use ATVs, dirt bikes or Jet skis on or near resort. Public landings and off road vehicle sites are available. Pets are allowed in eight, designated "pet-friendly zone" cabins only. Please see policy. Cook, Minnesota: 3,250-foot blacktop runway with nightlights and hardstand parking. Commercial flights to Hibbing (1 hour away) & Duluth (1 1/2 hour away).